The Yamaha HS1200T Hi-Hat Stand is of professional quality, with a toggle link drive for a lighter, more expressive feel. 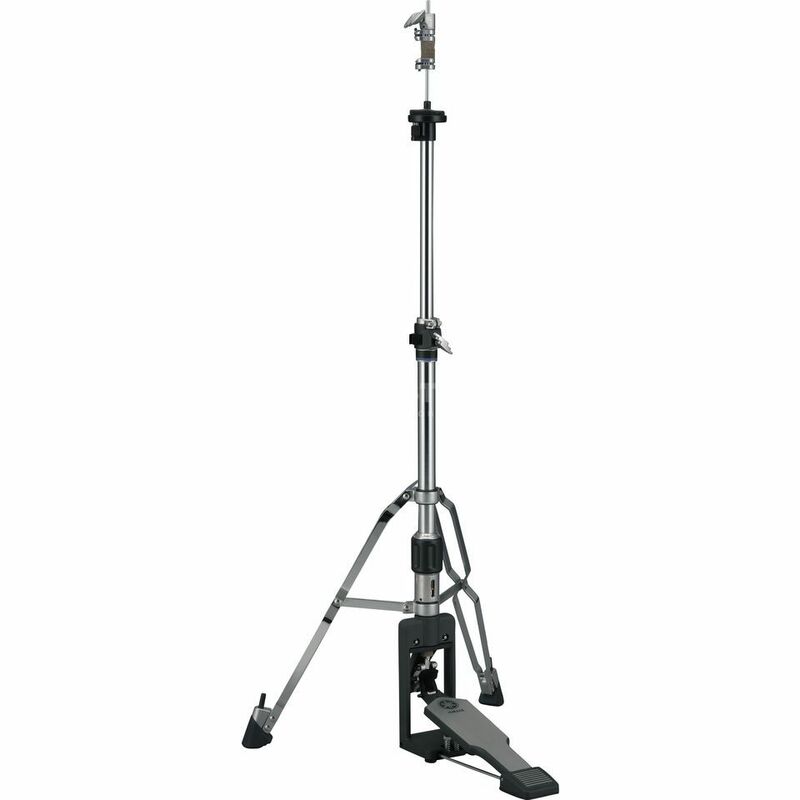 The HS-1200T is a two-legged hi hat stand with a well designed toggle link drive. The toggle link drive feels lighter at the top of the stroke, and gets gradually stronger as the footboard is pressed. This gives the HS-1200T a lighter, more expressive feel. The HS-1200T has adjustments for spring tension and footboard height, and the narrow footboard makes it easier to fit in multiple pedals. The cymbal seat has a self-locking angle adjustment and reversible felt/rubber washer. The HS-1200T ships with pull rods of two different lengths so that you can set the cymbal height to fit your style. The locking clutch has been redesigned with stronger locking rings.